Well, I know it wasn't really summer yet when I went on this vacation but it was almost summer and this is probably the only "summer vacation" I am going to get this year so here it is. 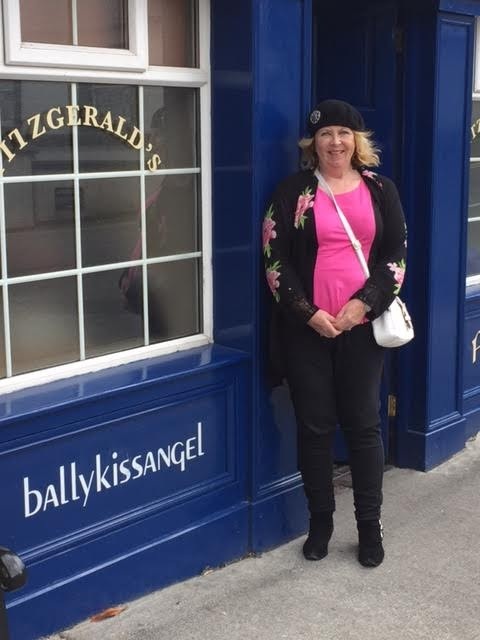 We are just back from a trip to Ireland and England, and I learned some things, some of which made me wonder if my travel days might be coming to an end, but I will get to that later. On this most recent trip, I was reminded that Hubby and I have this bad habit of trying to do too much. We have been known to try to take in every little village in the Lake District in one weekend or to do Paris in a day. 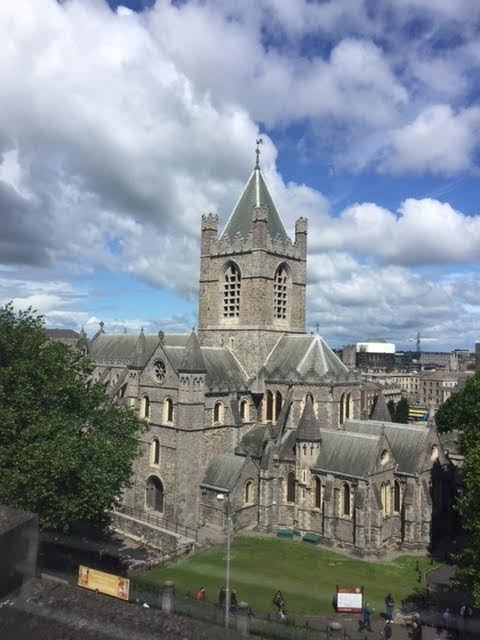 So it's not surprising that we changed hotels six times in two weeks on a recent trip to Ireland. Not recommended. 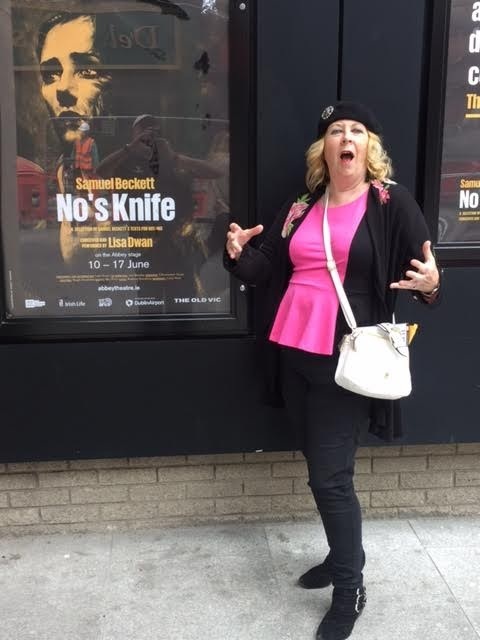 I don't mean Ireland. No, Ireland is recommended. It's the packing up every other day and moving on to the next place that is not recommended. Hubby and I travel to Europe every other year or so. I have a Swedish cousin and we like to meet up with her and her husband when we go over there. 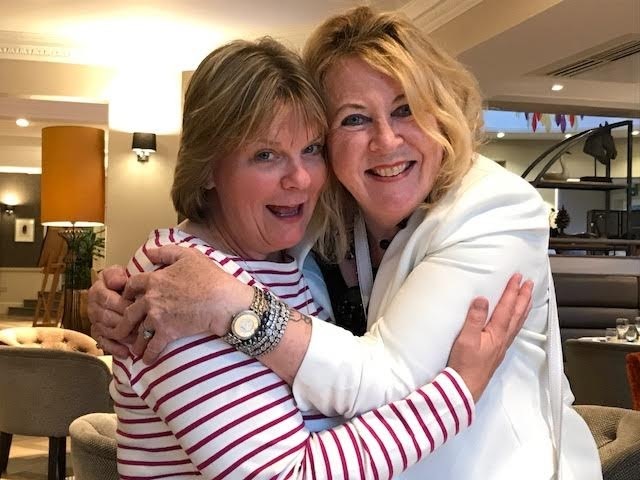 They are wonderful traveling companions and seem to like our company as they make the effort to meet up with us whenever we cross the pond. 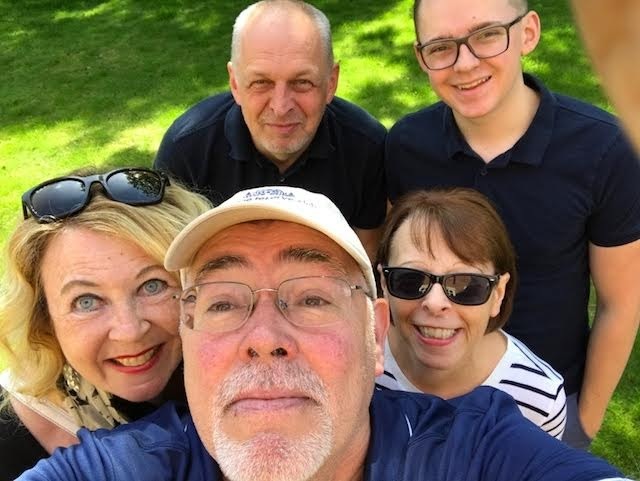 We have visited them in Sweden a few times but they have also been over here, met us in Oxford where we rented a narrow boat and toured the Oxford canal (one of my all-time favorite vacations) as well as trips to Amsterdam and Positano (Italy's Amalfi Coast). 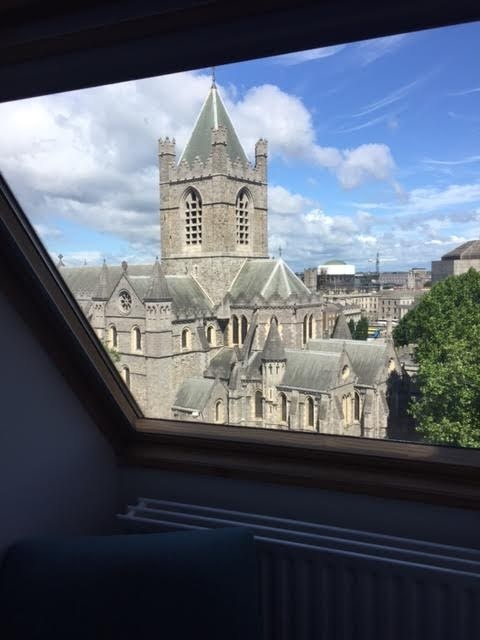 This year we decided to meet in Dublin where I had rented an Air B & B, which I will get to in a minute. and after an evening walking around Temple Bar (which in case you didn't know it, it's not a bar but a part of town - for some reason I had this idea that Temple Bar was Bono's bar in Dublin), we decided to take a road trip to The Dingle Peninsula and then swing on over to the Ring of Kerry. I am a big Rick Steves fan and remembered one of the TV shows he did about the Ring of Kerry, where he said it was de rigeur to make that trek. 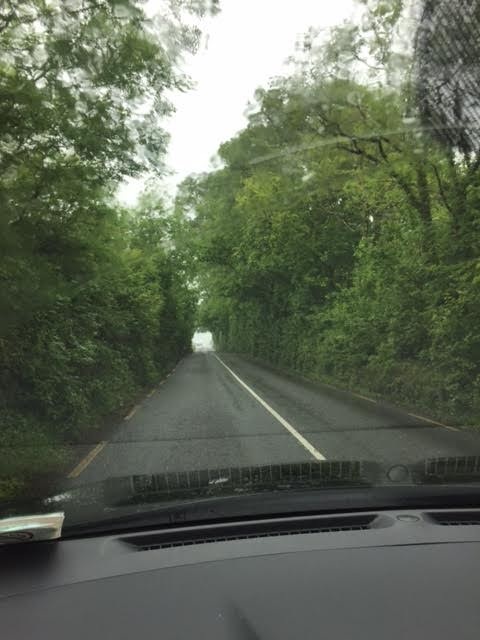 Unfortunately, there were a few things I learned about road trips in Ireland. The first thing we learned - Rental car insurance in Ireland: I don't know what made me do it but on our way to Ireland I decided to look up renting cars in Ireland, even though we had already made arrangements through Costco (and check that out - we have discovered, thanks to a friend's recommendation, that booking your rental car through Costco is by far the cheapest way to go) and had a fantastic rate. Only $120 for a whole week! We couldn't believe it! Well, you know what they say about something that seems to be too good to be true? What we didn't know and what I learned at the last minute was that Ireland is one of the few countries in the world (Israel and Jamaica are the other two) where you HAVE to buy in to the insurance offered by the rental company unless you come armed with a LETTER from your credit card company saying that they will cover everything that needs to be covered when renting a car in Ireland. If you don't come with that letter, and you decline the insurance, they will automatically charge your credit card $45,000 or whatever the cost of the car would be which could ruin your trip right there if you only brought one credit card or your limits are decidedly below the cost of a new car. The Basic Plan - high deductible and did not cover some of the most basic problems encountered by people learning to drive on the left for the first time. Option Two - a deductible of $1750 but it covered most things like broken rear view mirrors and bent rims, the most likely damage when learning to drive on the left side of the road. Option Three - The Gold Standard - $750 deductible and covered everything including your peace of mind. The cost? Basic Plan - 25 euro per day. Option Two - 35 euro per day. Gold Standard - 55 euro per day. 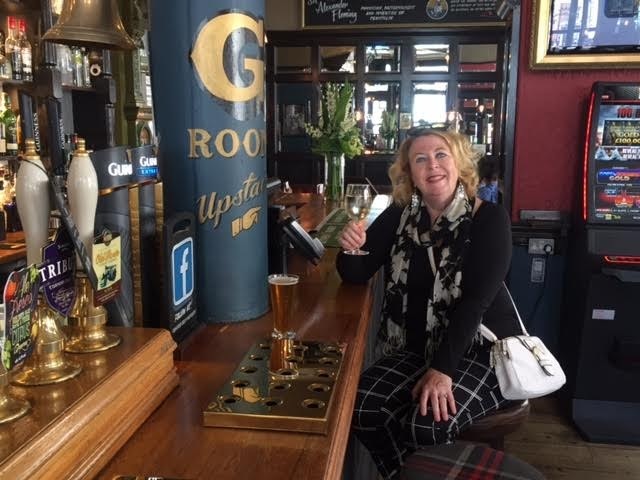 So after hearing our options explained to us by the handsome, charming young sales guy who looked like someone out of a Guy Ritchie movie - he was handsome and charming but you didn't want to cross him - we chose Option Two. He congratulated us on choosing the most popular option and happily tacked on the additional 300 euro turning what we thought was a really good rental car deal of $120 to almost $400. Thank heavens the dollar was strong and was almost on par with the euro or it could have been even worse! 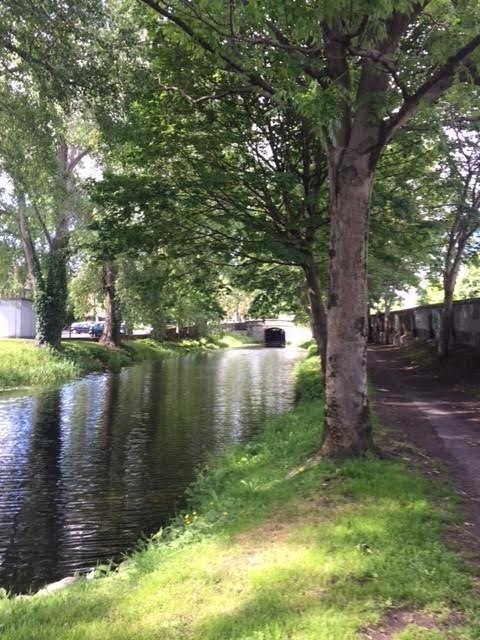 We don't consider ourselves newbies when it comes to travel, but we certainly missed the boat on this, so if you plan to rent a car in Ireland, check with your credit card company and get that letter if possible to take with you. 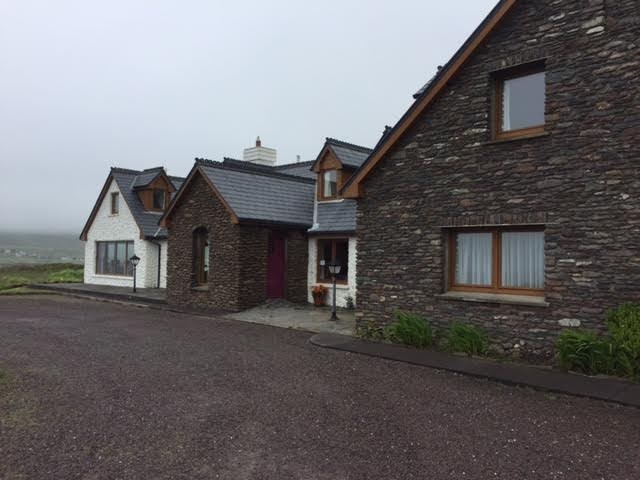 So on board our now expensive rental car, next stop, Gorman's Clifftop House, The Dingle Peninsula. 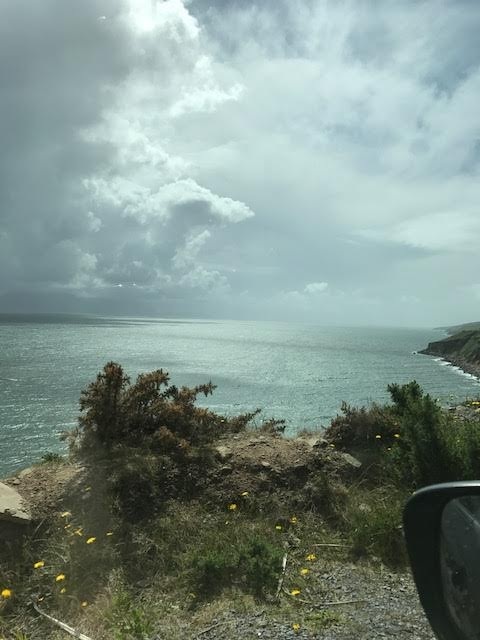 Second thing we learned - how long it takes to get places: I had thought that driving to Dingle would not be a big deal and we could stop at Waterford and Cork along the way, not realizing that Dingle was five hours of driving from Dublin, not counting any stops. 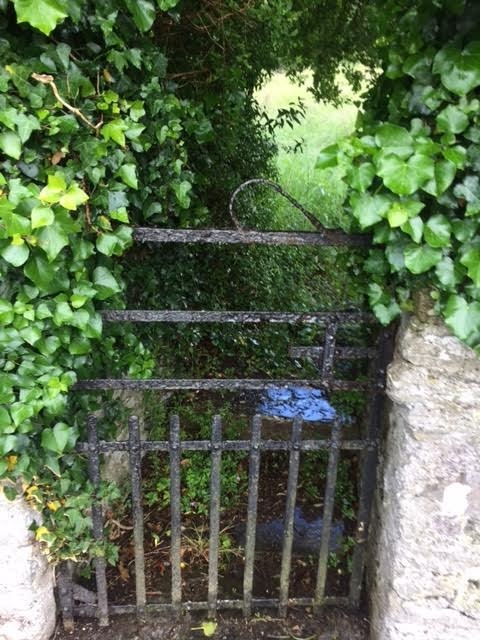 So we abandoned the stops, but after five hours in the car, the lovely Irish countryside notwithstanding, we were wondering what we had done. 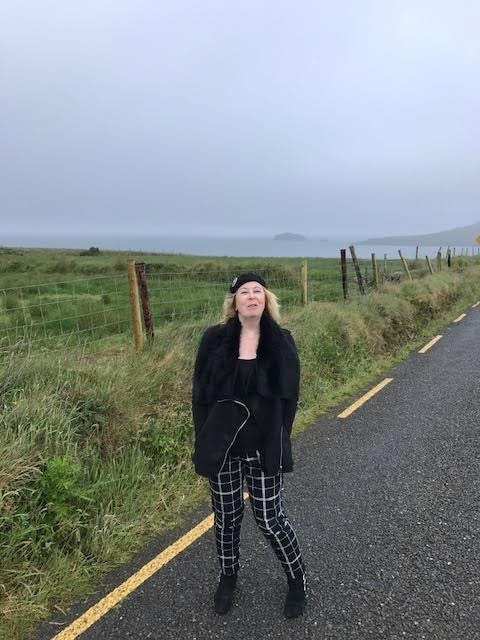 And remember when I said we would "swing over to the Ring of Kerry from Dingle?" 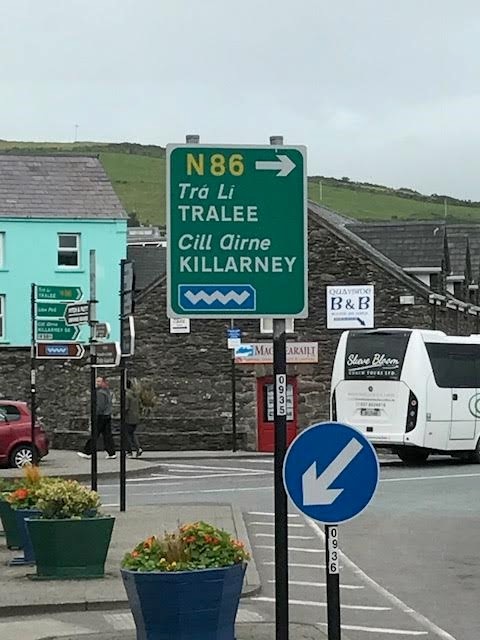 Well, once in Dingle, we realized that the Ring of Kerry was another two hours away just to get there. That didn't count actually DOING the Ring of Kerry. 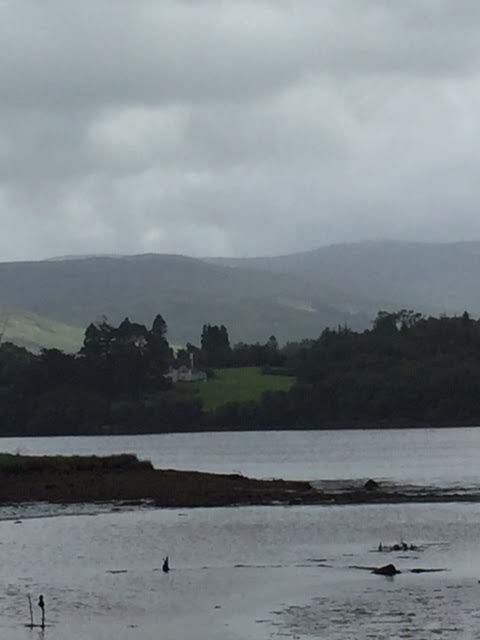 So we ended up doing PART of the Ring of Kerry. We did it clockwise, which is actually backwards and went to Kenmare, which was a good thing because while stopping at a pub there we learned from the bartender that we had already seen the best bits and if we turned back now we would get ahead of the buses that would be headed around the Ring coming from the other direction. 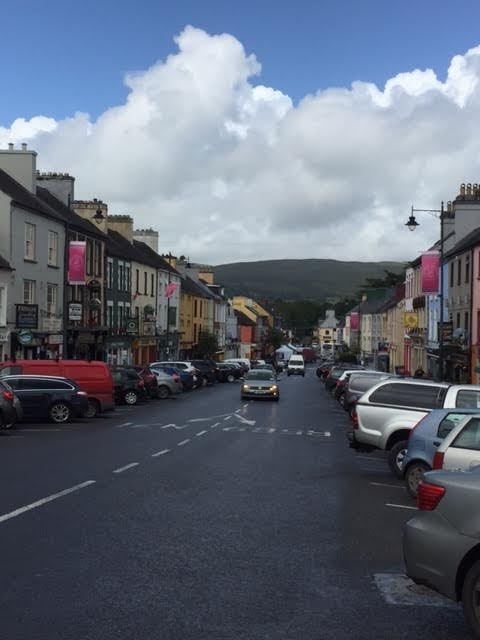 After a quick tour of Kenmare, we took her advice and got the hell out of Dodge, er, Kenmare, to try to beat the ubiquitous buses. Wish I had had time to do a little retail therapy! 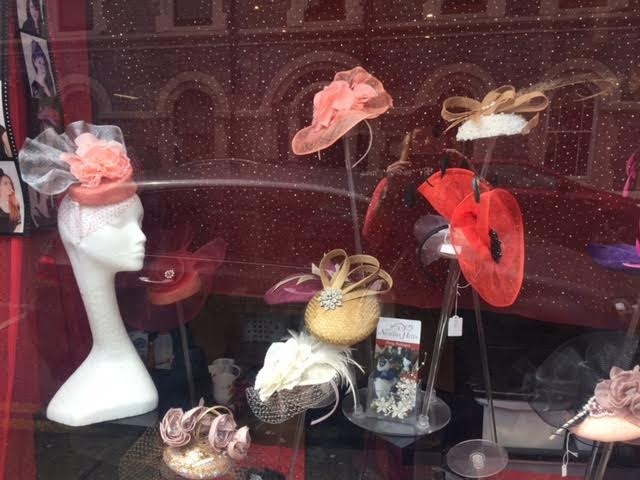 I need one of those fascinators! I had to throw in an arty shot! Didn't quite escape the buses. Or the timid drivers. 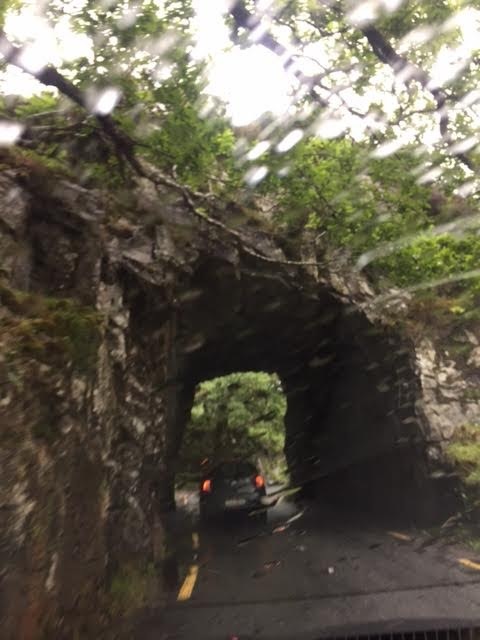 Did I mention that the road on the Ring of Kerry is very narrow and circuitous? 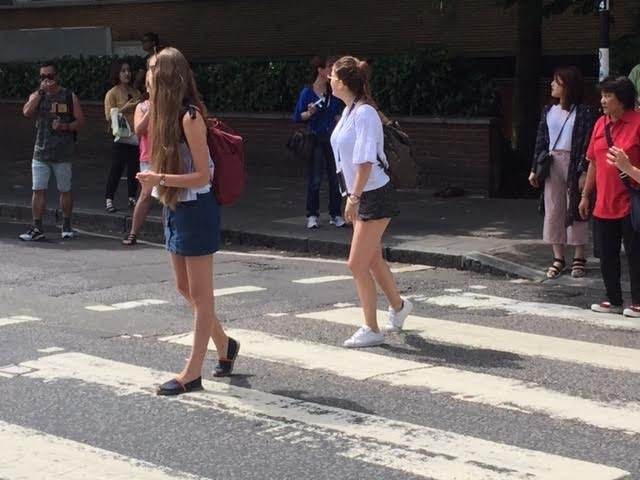 And it wasn't just the buses. We were often behind timid drivers who put their brakes on at every turn. 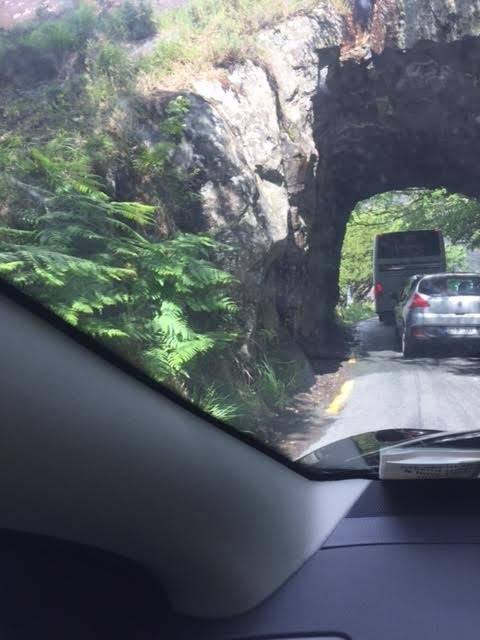 If you have ever driven Highway One in California from the Monterey Peninsula to Big Sur on a weekend, it's like that. But also very beautiful. Speaking of driving, if you have never driven on the left side of the road it is definitely doable but takes getting used to. 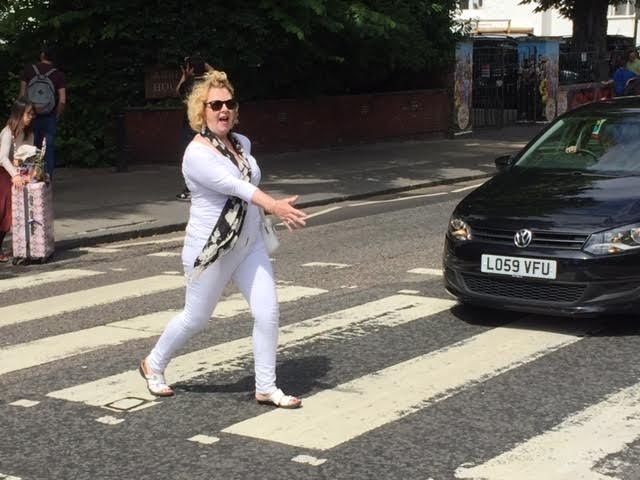 Also rental cars in England and Ireland tend to be manual (you pay quite a bit extra for an automatic), which can be scary for us Americans who depend on our automatic transmissions, but you can do it. You don't want that rental car bill to be even more, do you? "There are three things to remember. Drive on the left; a left turn is a short turn and the right turn is a long, wide turn; and pass on the right. But one thing that is the same in the U.S. and here, when getting our point across to other drivers, we all use the same finger!" 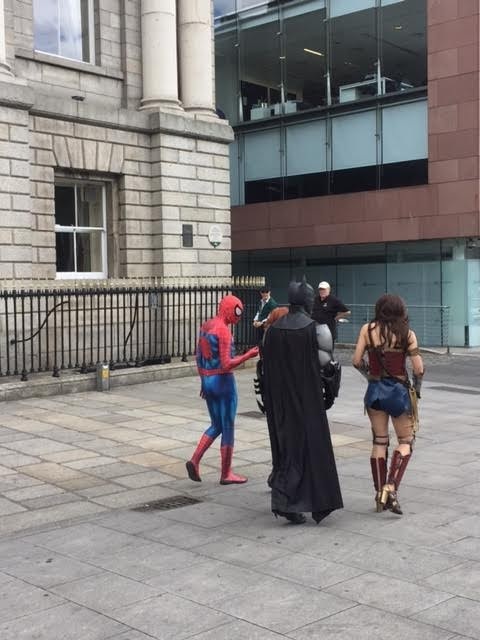 Did I say the Irish people have a sense of humor? 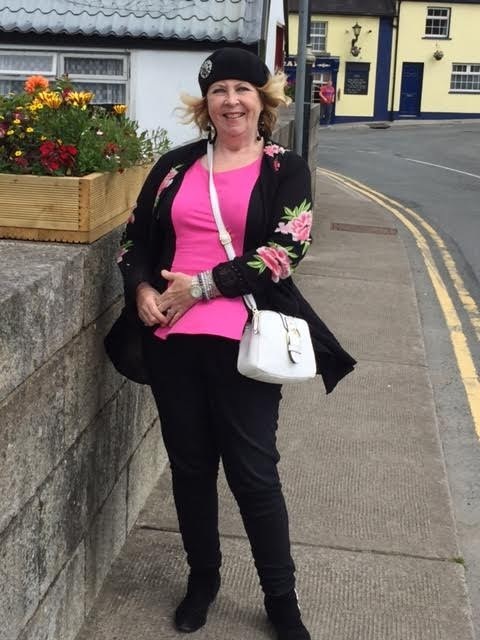 First and foremost, the Irish countryside is absolutely beautiful, full of history and the Irish people are very warm and friendly -- and funny. Plan ahead of time for how much time you want to spend in the car. 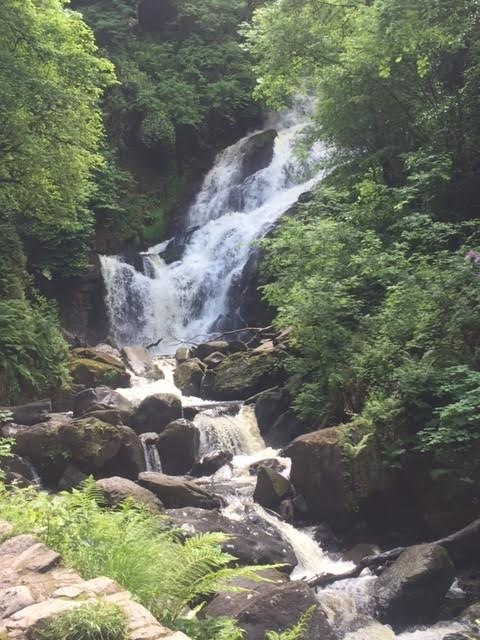 If you don't want to spend a lot of time in the car, you can plan short day trips from Dublin and still experience the beautiful Irish countryside. 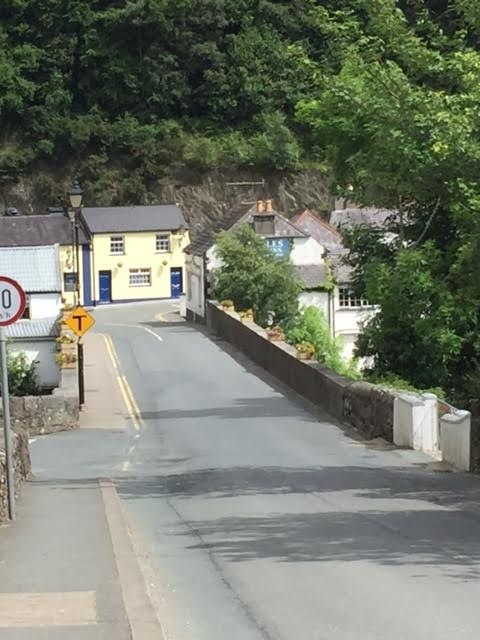 Back in the late 90's I was hooked on an Irish TV show called "Ballykissangel" and I had always wanted to visit the town where it was filmed. 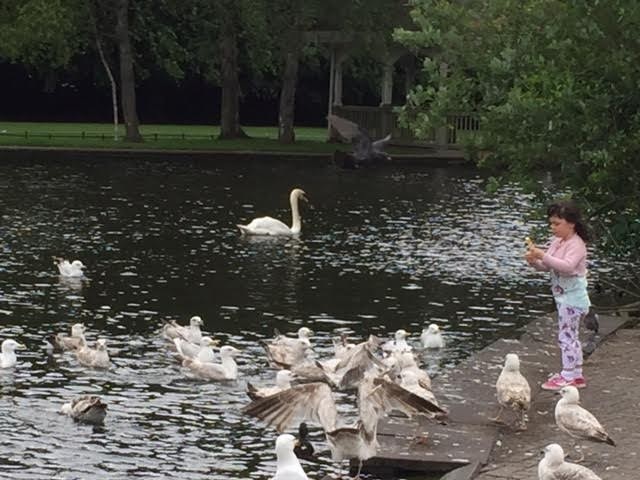 We were able to do that and it was only an hour outside of Dublin. Don't bite off more than you can chew. 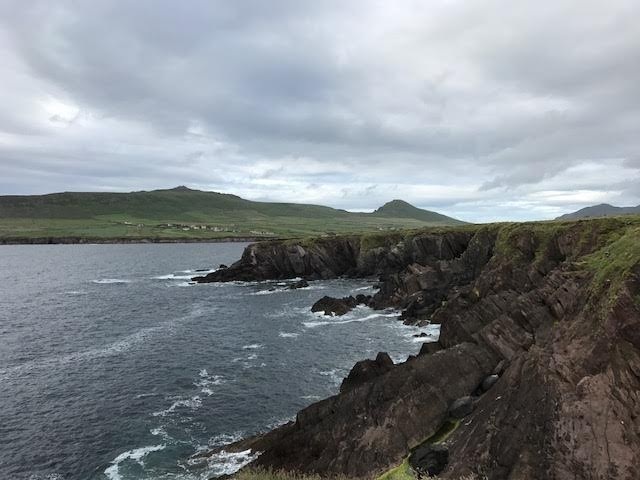 If you do want to tour the country as in the Dingle Peninsula or the Ring of Kerry, which are about as far from Dublin as you can get, you might want to plan to do it in increments. 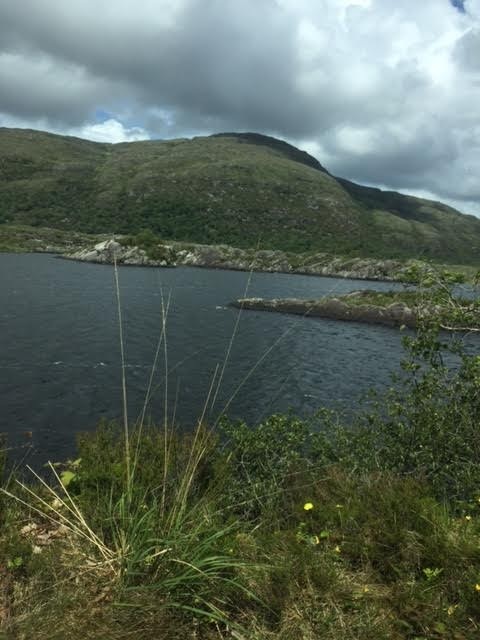 Make your way there slowly stopping in various towns and spending the night or at the very least stay in Killarney for the Ring of Kerry. 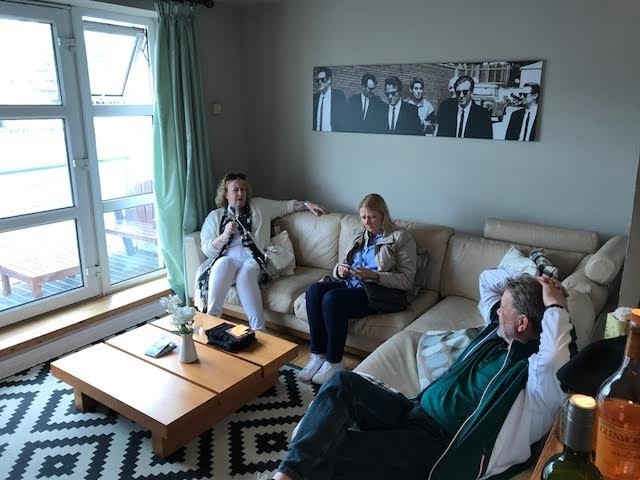 Once back in Dublin, we met up with my Swedish cousin and her husband and, we all headed to the Air B & B we had rented. We have had some good experiences, some bad experiences and some so-so experiences. The main thing I don't like about them is that if you arrive and the house or apartment is not what you had expected, you have 24 hours to try to make things right or get your money back. If you can get your host to make things right, that's great, but if not, then getting your money back doesn't solve the problem of where you are going to stay, especially if you have traveled ten hours to get overseas. I also find it much more awkward to complain to an individual about his or her accommodation than I do to complain at a hotel. Despite the fact that a person could get a bad review in Air B & B, there is less motivation to make things right for you than at a hotel. So in my mind, even though you might get a nice place for less than what you would pay for comparable accommodation at a hotel, you are taking your chances a bit using Air B & B. In this case, our apartment was OK, though it could have used a good cleaning. Finding bits of soap in the shower from a past tenant was a bit off-putting and there was this bare wall with two big holes in it where a TV obviously had once been. I felt compelled to call the host and ask if there was supposed to be a TV there in case it had been stolen, but when I rechecked the description of the apartment on the website, it did not list a TV. 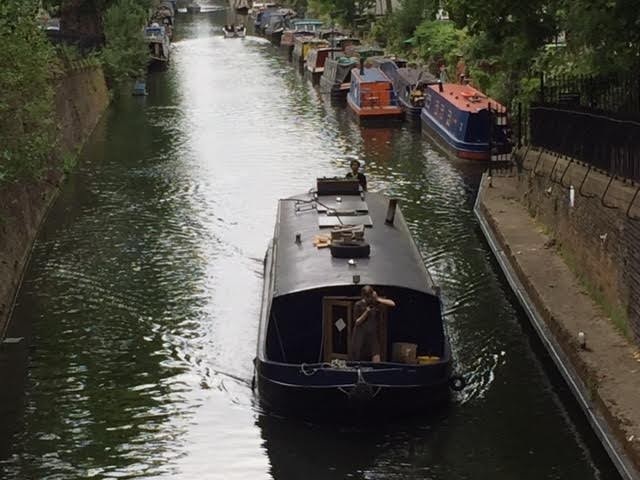 But the apartment had a lovely view of the canal and was well-located. We had fun walking around Temple Bar, though it's very touristy. 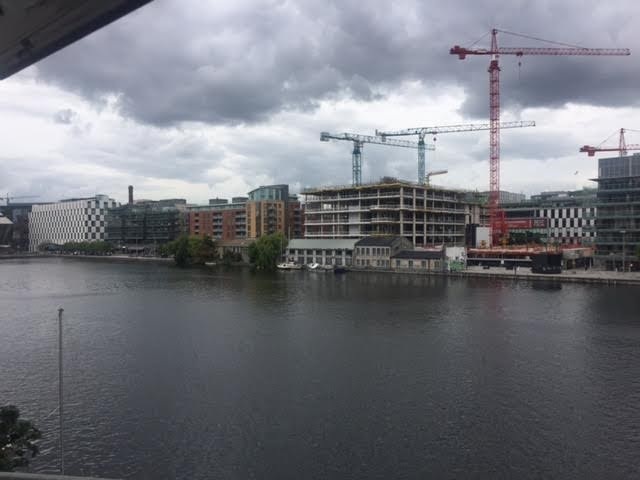 At our first hotel, the young bartender told us she and her friends never hung out there when they went out, they went over north of the Liffey. 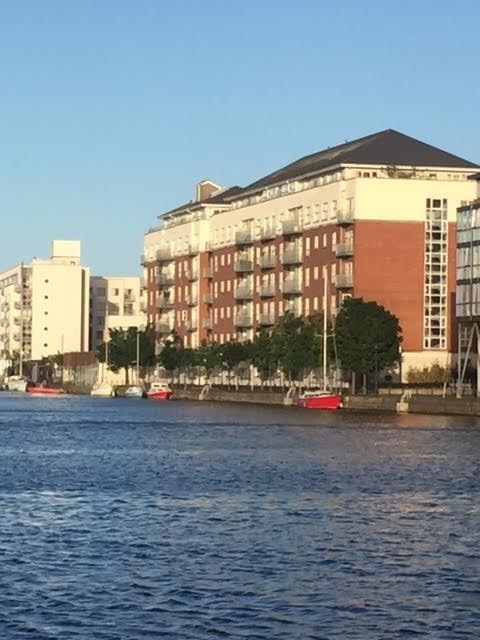 The river Liffey runs through Dublin and there is a whole debate about north of the Liffey vs. south of the Liffey. Temple Bar and most of the Dublin tourist sites are south of the Liffey. Speaking of tourists, I couldn't help but notice this time around how many tourists there were and it wasn't even peak season yet. Maybe I am just getting old but having tourists swarming around everywhere we went really got on my nerves. Now, I know that's a big irony since when I travel, I, too, am a tourist, but I try to be a tourist who could be mistaken for a local. 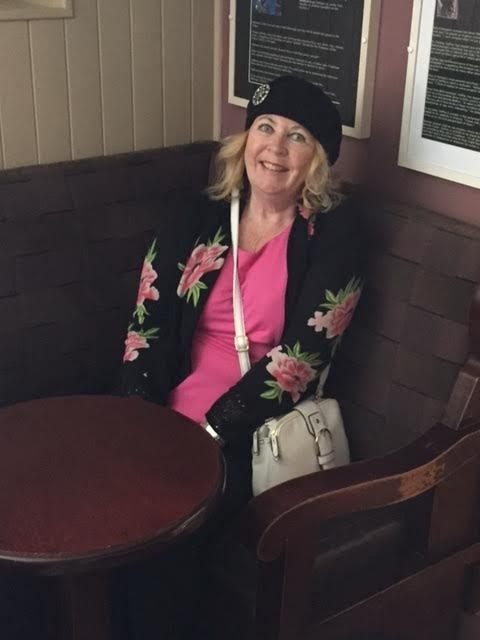 I can't tell you how many times I have been asked for directions in the London Underground and once, in Paris while wearing what I believe was a very chic long black fake fur coat, I was asked for directions -- by a Parisien! So I make a point of not saying a whole lot and when I do, saying it quietly, so as not to add to that stereotype of the loud American. I also try to dress well, fit in and carry the local currency. 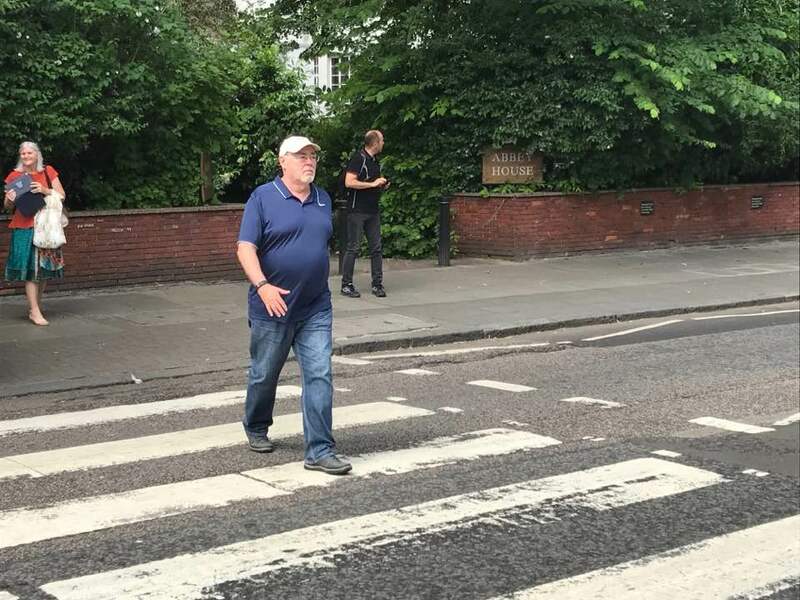 Sadly, Hubby kind of ruins it for me because he insists on wearing shorts, a Seattle Mariners baseball cap and carrying a map that he consults constantly, which pretty much screams American tourist and blows my cover. 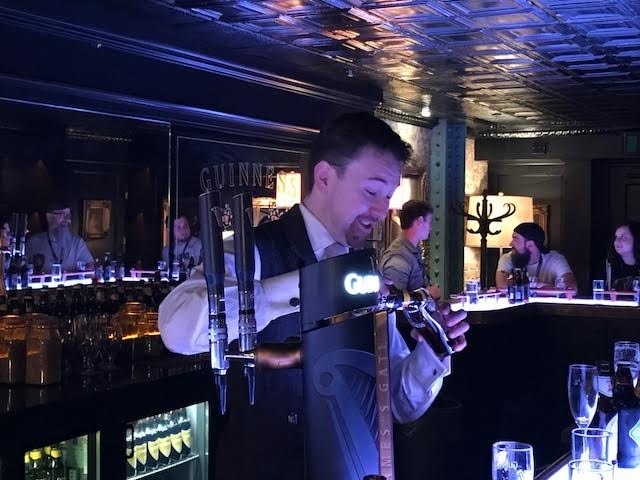 A highlight of our stay in Dublin was visiting the Guinness Storehouse, where the famous Guinness beer is made, and that being a highlight is saying a lot for me as I am not a big beer drinker. 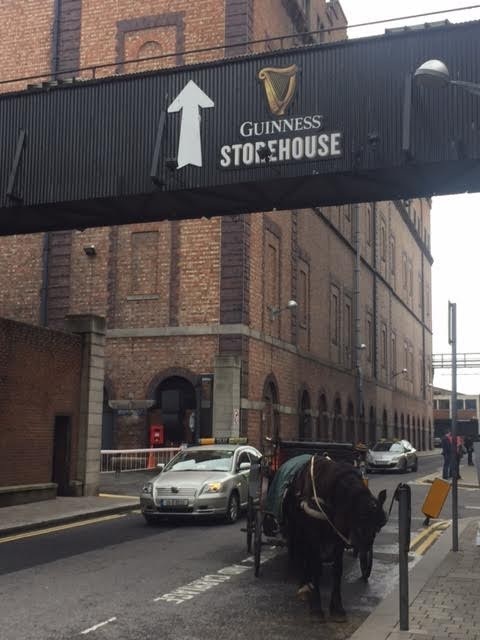 But the Guinness Storehouse is truly a destination with several floors of pubs, entertainment and souvenirs. 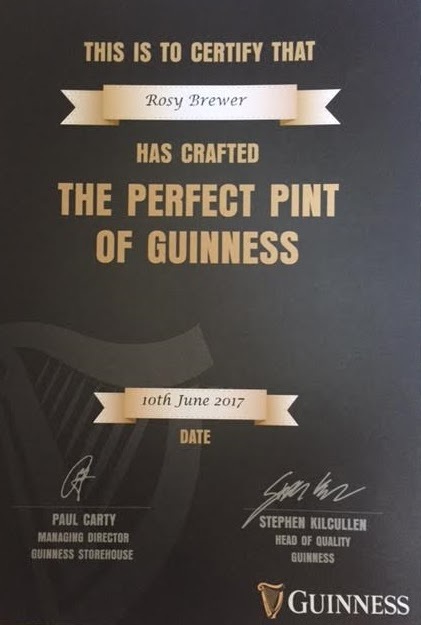 Hubby couldn't help but remark what an amazing job Guinness does of marketing itself. But let me tell you, it's a madhouse, so get your tickets ahead of time online. AND if you really want to have a wonderful, relaxing time, get the Connoisseur tickets for the private tasting. Yes, I know, it's almost three times the 20 euro cost to get in but it is entirely worth it, so one of my main tips for travel is this: DON'T BE CHEAP or you might miss one of your great travel experiences. 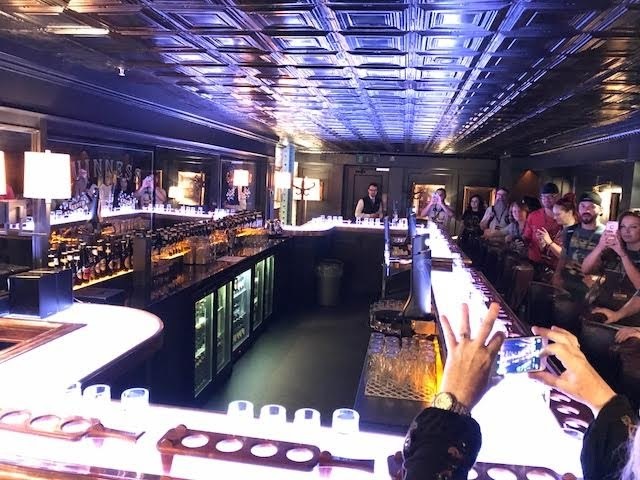 For the Connoisseur Tasting, you get VIP lanyards and are taken to a secret and private bar/tasting room. 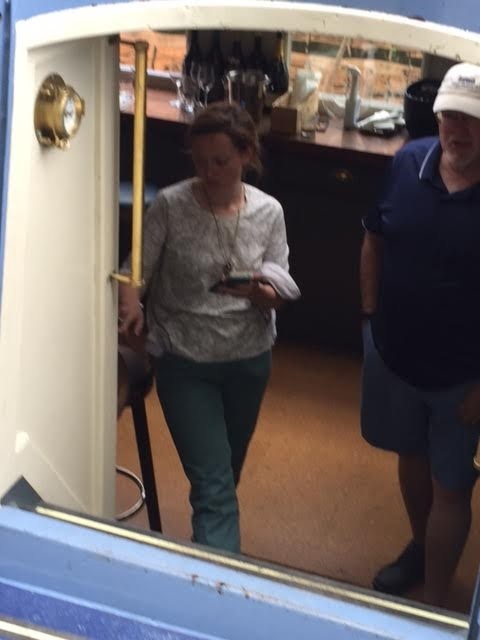 There are only 16 people in each tasting so it was my cousin, her husband, Hubby and me and 12 other people. Those 12 other people were actually all part of an American wedding party and they were already well on their way to getting hammered. But they were a fun lively group (those are my hands in the foreground with the camera). 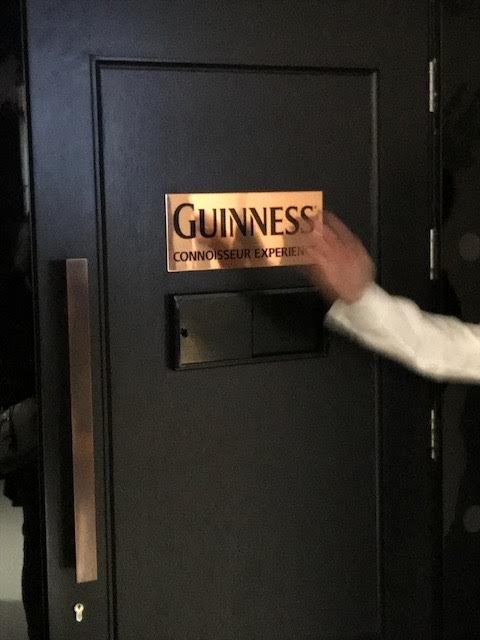 Once we were led into the very secret tasting room that our host described as the "Most exclusive bar in the world that pours Guinness Beer," we were treated to a lively history of Guinness as well as a tasting of four different beers. 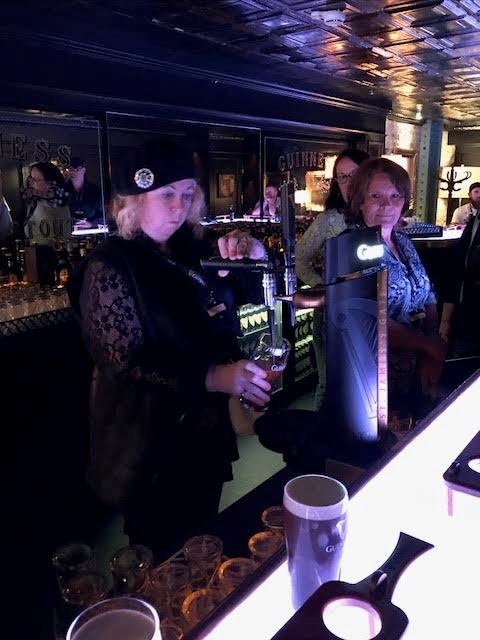 The session ended with each of us learning to pull a proper pint of Guinness: hold the glass at a 45 degree angle, fill it to just the top of the harp on the Guinness glass and then let it sit for exactly 119.5 seconds before topping it off. 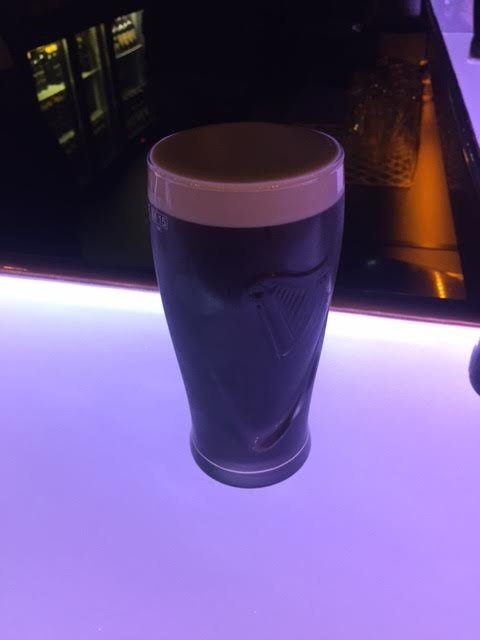 You don't want to have any spillage over the top AKA Arthur's Tears, so named for founder Arthur Guinness. You want a lovely rounded top of foam. You can see by my expression this is not easy! 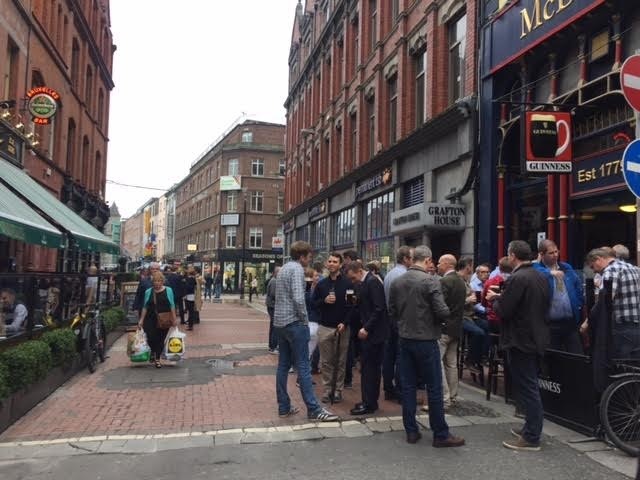 You will also want to do a pub crawl of Dublin night life and hopefully hear some local traditional music. 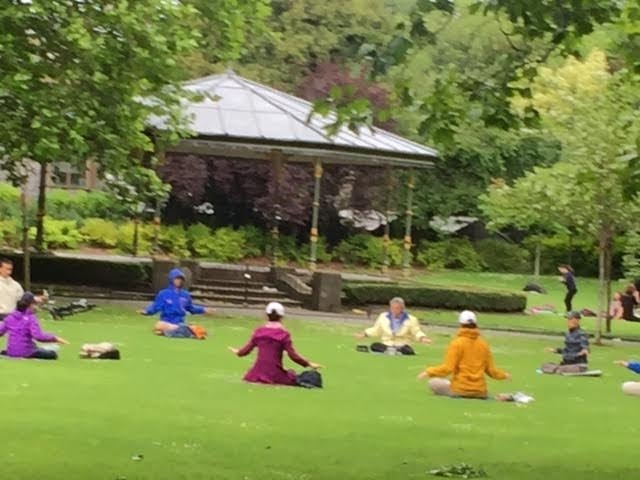 When we did this, I noticed that the men in Dublin seem to hang out in packs. The night we went pub crawling all we saw everywhere were gangs of men drinking together. I think Ireland is very much a male-dominated culture where they prefer their own company, at least when drinking. Even at the Guinness Storehouse there were groups of guys sitting together. 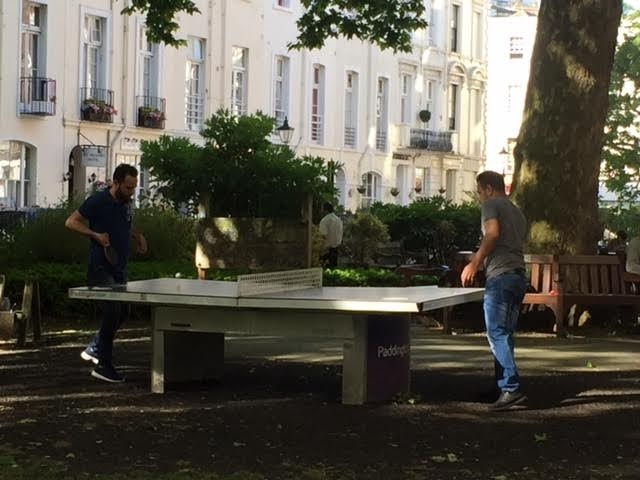 No women in sight. I was also hoping to listen to traditional Irish music and possibly sing along in the pubs. 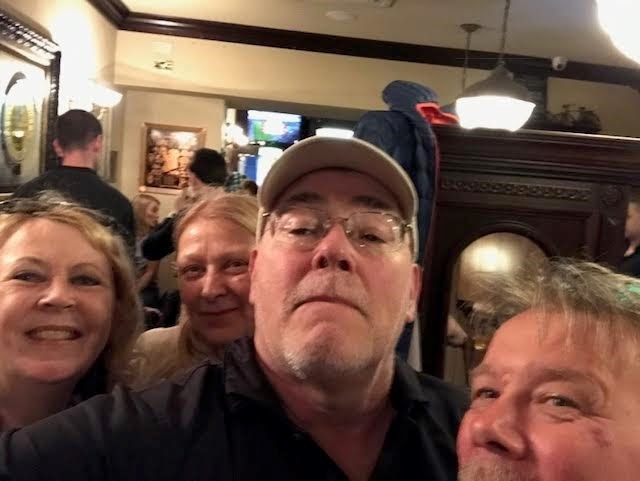 We went to a popular pub (O'Donohughes Pub), and there were two guys playing and singing, but the pub was so crowded and noisy we could barely hear them. There was a little listening area that I managed to get to that seated about six people but it was obvious the performers were very irked by the lack of attention being paid to them. Kind of a letdown. 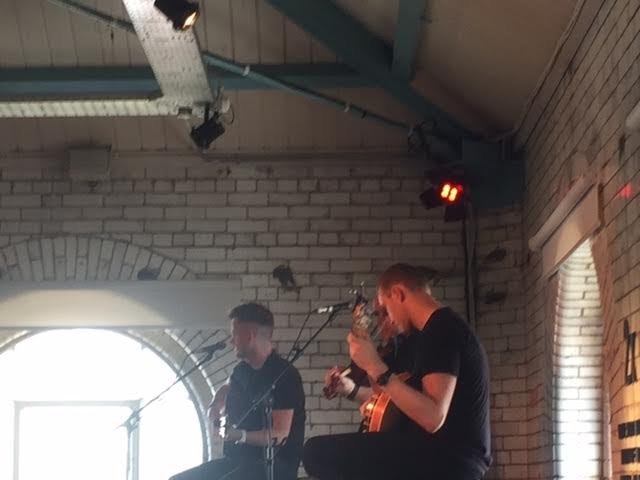 We actually had a better time listening to the music provided in one of the restaurants at the Guinness Storehouse. 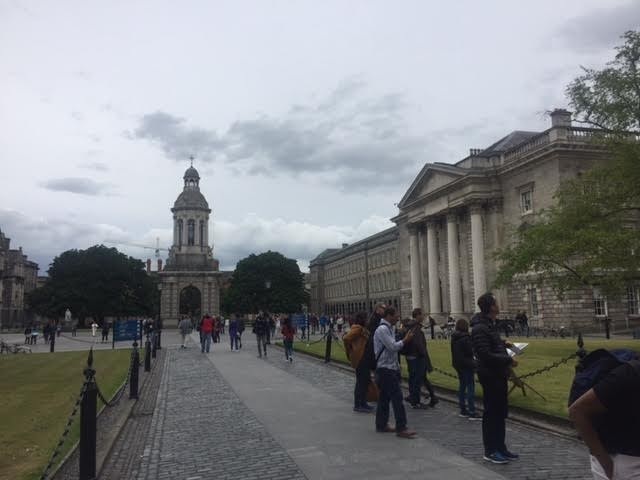 but, once again my laziness resulted in my not getting tickets ahead of time to see the Book of Kells and the lines were horrendous. But I figured, I am a librarian and learned all about the Book of Kells in library school, so I didn't have to see it in person. Lesson learned, though, about doing a better job of planning before I go. 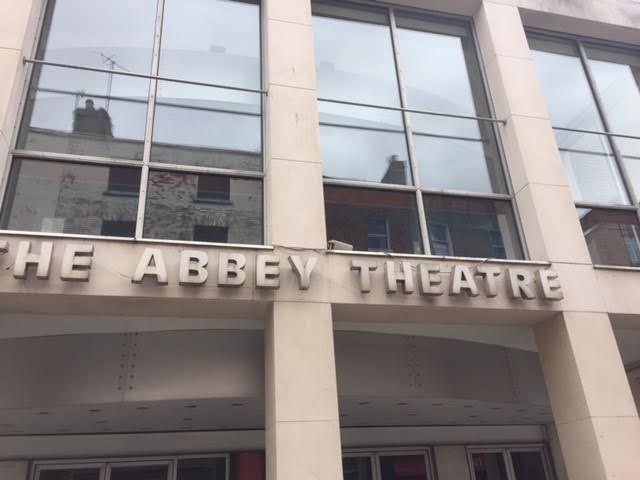 The actress in me also had to see The Abbey Theatre (also known as The National Theatre of Ireland), the home of many of Ireland's leading playwrights and actors. 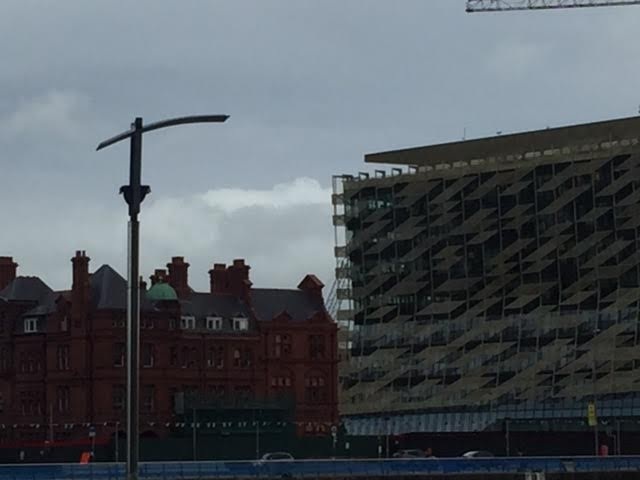 Walking around Dublin, I was struck by the clash of old and new. 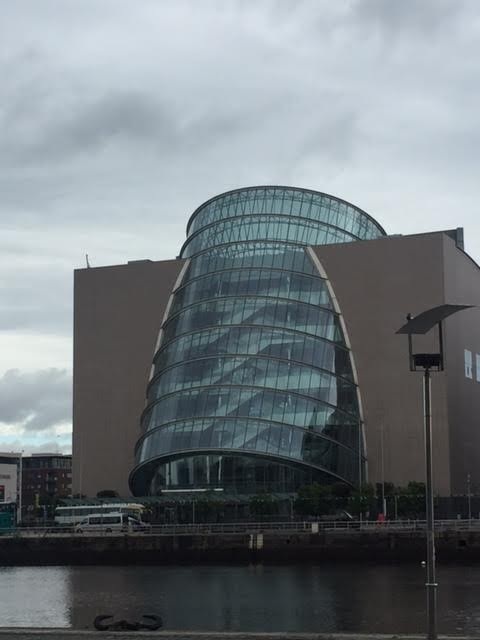 Dublin is certainly booming. 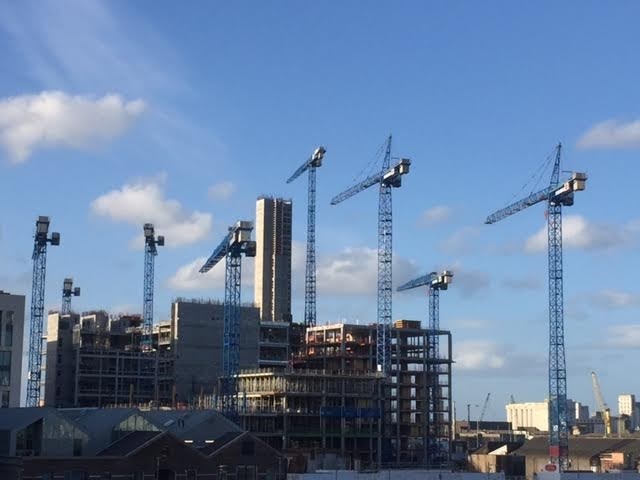 You can always tell when a city is booming by the number of cranes. There were no fewer than seven cranes just across from our apartment and gleaming new buildings and construction was everywhere. If you don't want to look like a tourist, scrap the map (are you listening, Hubby)? Sometimes when traveling, it's the little unexpected things that are highlights. Now don't laugh and don't judge. One thing I delighted in was my Starbucks app. I know that Howard Schultz sold the Seattle Sonics out from under us Seattleites and that Starbucks has basically run the Mom and Pop coffee shops out of town, but other than that, Starbucks is not a really evil company, and I feel a certain comfort knowing I can travel the world and there is a Starbucks, able to churn out my Triple Grande Skinny Vanilla Latte whether I am in Oxford, England or Tokyo, Japan. If you have the Starbucks app (even a Starbucks card works too, I think) and use it to pay for your drinks (which I do), you can load up the app with your own local money before you leave the country, and then use it to pay for your Starbucks drinks or food all over the world. They scan your app and it automatically converts to the local currency at the local rate with no fees. It's amazing. I had to find a Starbucks every day just so I could go through the process and be amazed when I looked at the receipt. 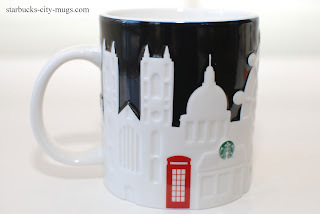 However you may feel about Starbucks, that is one convenient and fun perk. 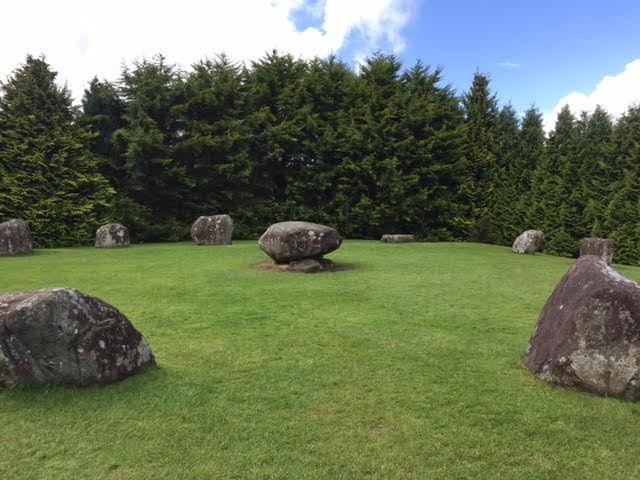 I have also enjoyed visiting the sites of TV shows I have followed. 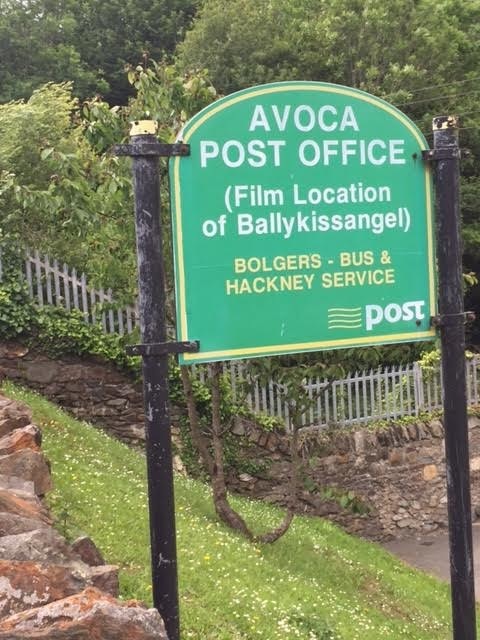 I have visited Inspector Morse's haunts in Oxford and driven through the water splash in Yorkshire that was featured at the beginning of "All Creatures Great and Small,"
so while in Ireland I wanted to be sure to go to Avoca, which was the little town where "Ballykissangel" was filmed. The show ran on PBS for several years. 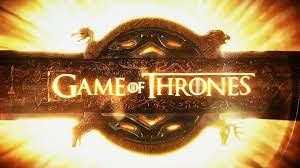 I had forgotten that it's been over 15 years since it ended but that didn't stop me. 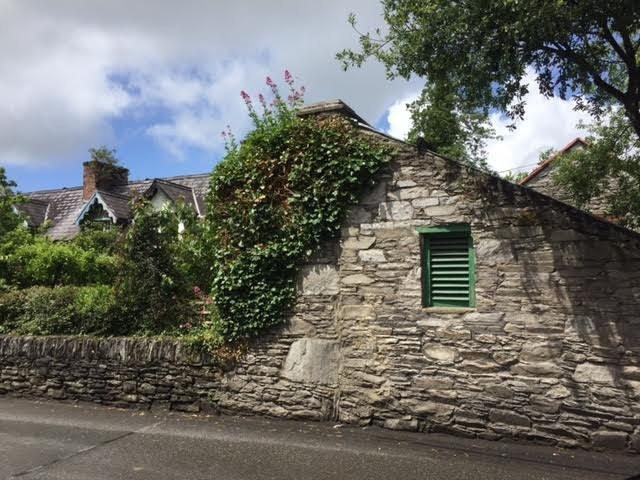 I had vowed that if I ever went to Ireland I would find that little town. And we did! On the famous little bridge. 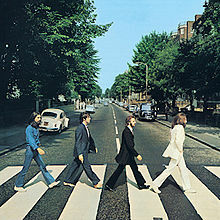 And then while in London, we just had to walk across that zebra crossing featured on the album cover of "Abbey Road." Us and a bunch of other tourists! 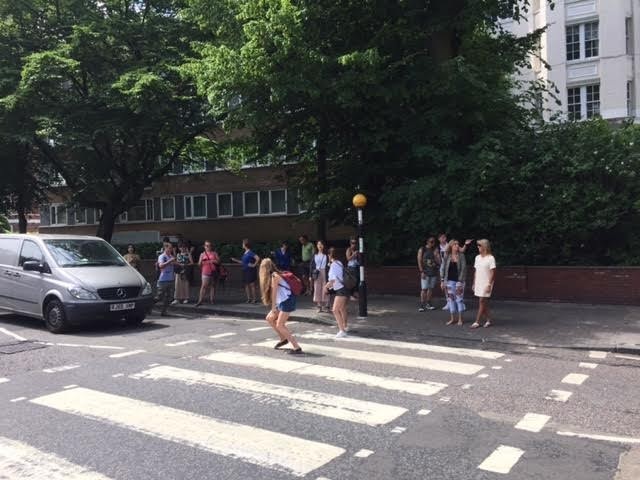 It was a fun part of the trip just watching everyone trying to dodge traffic and get their pictures! 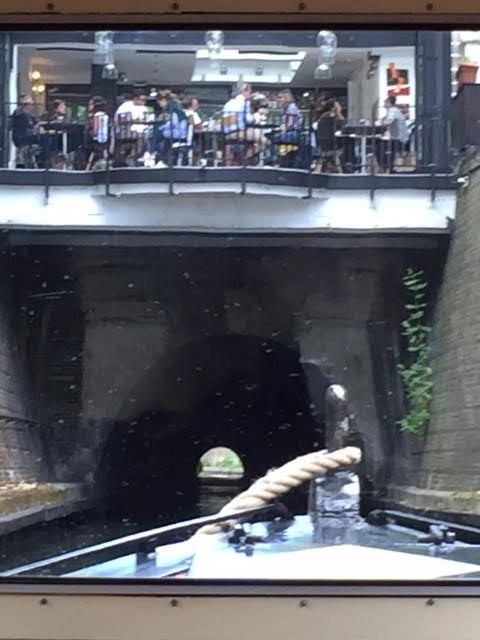 We also took a canal boat ride through Little Venice, reminding us of one of our favorite vacations, when we rented a narrow boat and toured the Oxford Canal. I am over flying through Iceland to Europe. Yes, it is a cheaper option than many non-stop flights but it seems that everyone has now discovered it. We flew to Europe via Iceland a couple of years ago and took advantage of staying over in Iceland for a few days and we enjoyed it. That is one of the perks of flying via Iceland Air. Either going or coming you can stop off there for no extra charge and we enjoyed our stay. However, now I think that Iceland, particularly Iceland airport, is now a victim of its own success. On this trip we had an 18 hour layover so decided to spend the night in a hotel near the airport. The hotel was about four miles from the airport - four miles and a $30 taxi ride. Likewise, we had lunch the next day where a small order of French fries was $10. So it's expensive and the airport is a madhouse. I am sticking with non-stop flights from now on! Airport lounges are an oasis of calm. 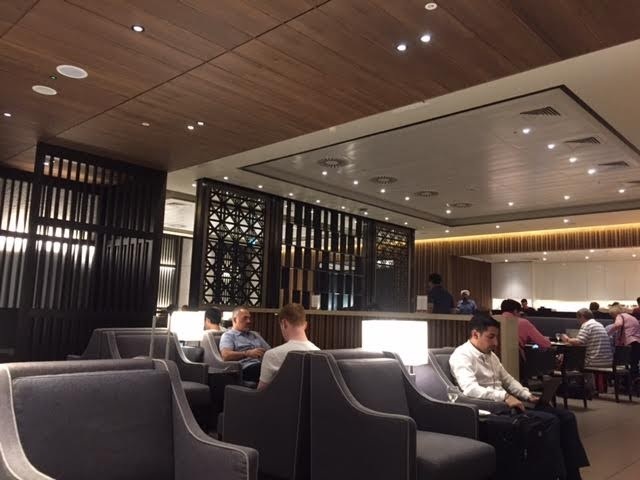 If you have a long layover, check out buying a day pass for one of the lounges. Several will sell you one for about $30 and I know that might sound like a lot for just a couple of hours but the lounges are quiet havens that usually provide free drinks and food. A couple of drinks alone pay the cost of the pass. You don't want to be cheap! 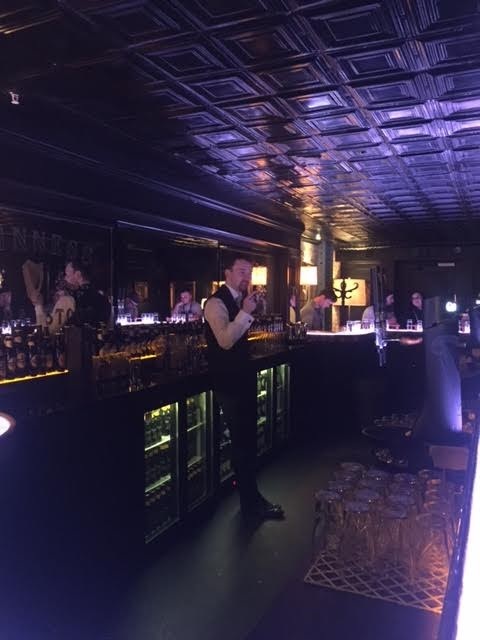 As I said, the private Connoisseur tasting at the Guinness Storehouse was a highlight of the trip but it was on the expensive side. But when weighing whether or not to spend the money on your accommodation or special events, decide whether or not you will regret not doing it. I am still regretting not buying a special London version of my favorite Starbucks coffee mug. It was only ten euro but I was sure I could order it online at home. Nope. People are selling it on line for $40! Like I said, it's the little things! Once you have been to a place a couple of times and already done the touristy things, that's when you discover the little things that make for a great vacation and make you feel like you are one of the locals. 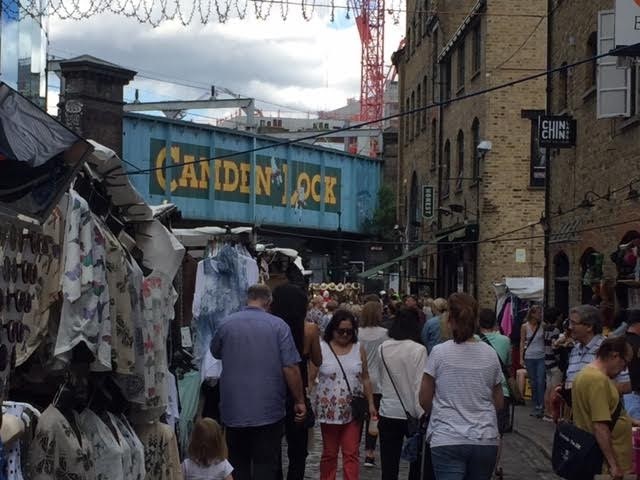 London is one of my favorite cities, and I have been there several times so now it's not so much about the Tower of London and Westminster, now it's about walking along the canal in Little Venice or checking out the Camden Town Market or just hanging out with the locals. Some of my favorite moments have been unexpected small things. Despite my joy at the Starbucks app and seeing my friends, traveling just isn't as much fun anymore. Traveling is getting harder and harder. Is it because of the inconveniences inherent in today's airline travel? Too many tourists? Is it that it's gotten too expensive? Well, those things don't help but could it be that I am just getting too old? Are my traveling days coming to an end? Why do I think that? Well....thank you for asking! I feel like I've lost my travel planning mojo. I totally dropped the ball on homework: why didn't I know about that rental car insurance? 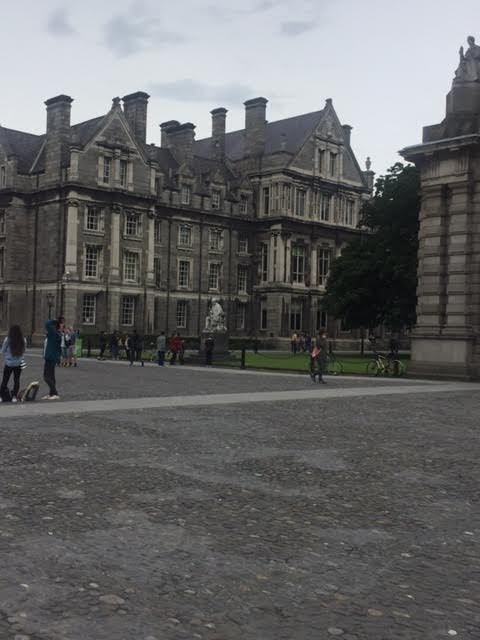 Why didn't I get tickets for The Book of Kells? 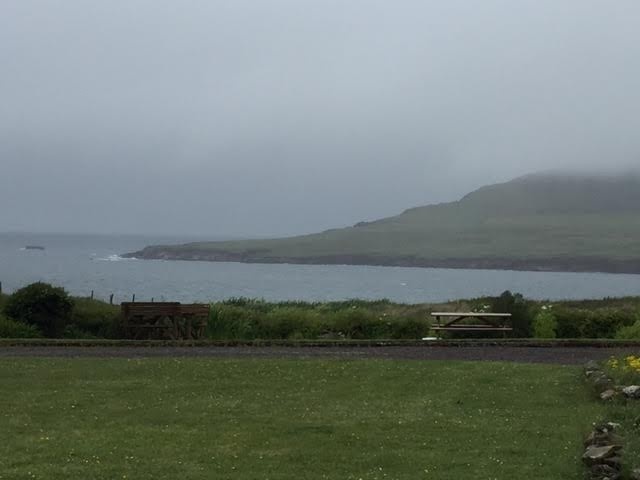 Why didn't I know how far away The Ring of Kerry was from Dingle? 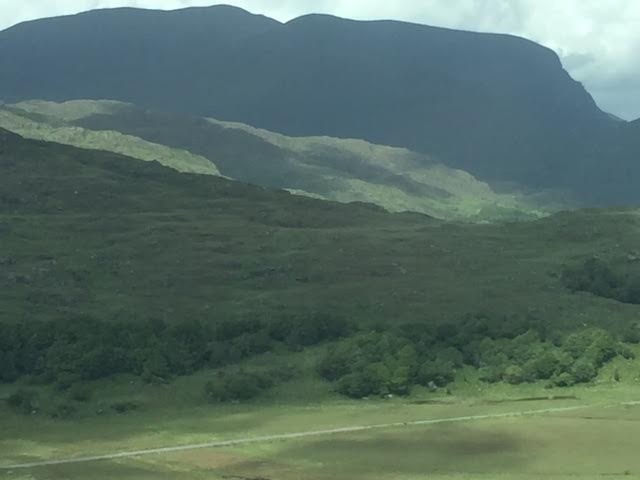 While contemplating the sun sparkling on the water as we drove the Ring of Kerry, I started to wonder what they were talking about on "The View." I missed those special quiet moments drinking wine with the wine-guzzling poodle. I just want to sleep in, but then what else is new? But looking at that list, I can't believe I just wrote it...or thought those thoughts. Has my life been reduced to sleeping in, looking forward to watching "The View" with my wine-guzzling poodle and waiting for my kids to call me? Travel in retirement is a strange thing. When I was working, going on a trip, even with some of the hassles inherent to traveling, was a much-needed break from a routine I was required to do. 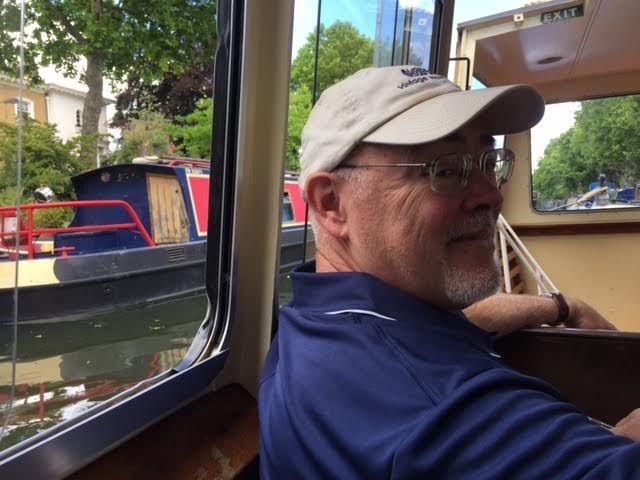 Now that I am retired and I can do whatever I want, I have created a routine that I enjoy and now travel almost seems like an unwelcome break in my routine. But is that me? Is that my life? Am I going to give in to my routine? Yes, travel can sometimes be inconvenient. And yes, sometimes bad stuff can happen but missing my routine? That is the whole point of travel. To jolt you out of your routine. To remind you that you are still alive and curious and part of the world. To give up on travel is to give in to a less than stimulating routine and to give up on life. My Dad, a wonderful man with many talents but never a big traveler to begin with, ended up down in his basement watching TV and writing a book that no one would ever read. He gave up on people and on life. I don't want to end up like that. Sir Anthony Hopkins was recently on "The Jimmy Kimmel Show," and Jimmy asked him, "You are turning 80 years old this year...In your 79+ years on this planet, is there a bit of wisdom you can share...something you think above all else you have learned?" To which Mr. Hopkins replied, "Keep going. Never give up." And now looking back on yet another successful trip, I need to remember that nothing bad happened, and I judge trips partly on whether or not something bad happened (and nothing did except maybe that whole thing with the Irish car rental insurance), but I also experienced some shining moments. So I am going to take Sir Anthony's advice. 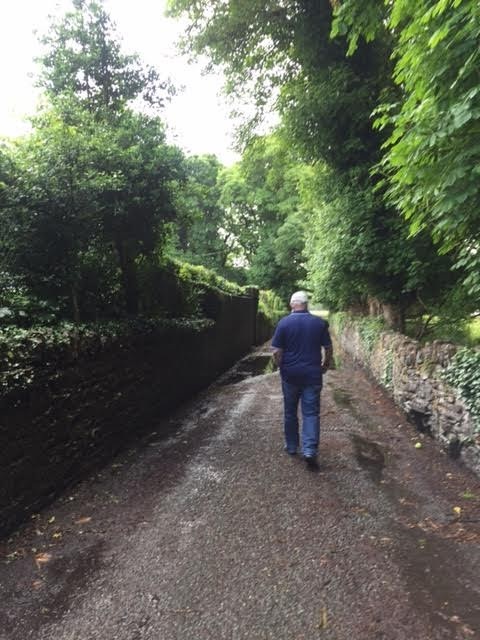 I don't want to end up like my Dad, so I am going to try to put aside the petty annoyances of travel, fight the urge to pull the curtains and sink into my routine and cast aside those old lady thoughts. I am going to keep going and never give up.